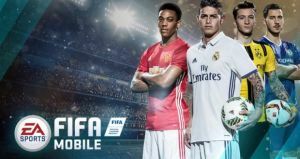 FIFA mobile is a free download designed to run on most smartphones and tablets. Players build a strong team by buying top-ranked players from the beginning unlike most other games of this genre where you play with inferior players and move up the ladder slowly. Players compete against each other online in the various modes and after each match get rewarded with coins which they can save up and use to improve their team.